Can Chiropractic Really Cure Sciatica? Sciatica is a chronic condition characterized by a radiating pain sensation down the sciatic nerve in the lower back, buttocks and legs. This condition is caused by a misalignment in the lumbar spine and pelvis. Many things can cause or contribute to this problem from improperly lifting a heavy box to a car accident injury or too much time in a seated position can cause a misalignment in the lower spine. The misaligned vertebra compress nearby nerves, including the sciatic nerve, which causes pain and dysfunction. The onset of sudden, severe pain in the lower back, buttocks and legs can be incredibly scary and debilitating. Sciatica does not simply “go away” over time. In fact, without the needed sciatica treatment, as long as a mechanical misalignment continues to compress the sciatic nerve, then this pain will continue. Sciatica can be a challenging problem for most medical providers. The first challenge is to get an accurate diagnosis. This not only means identifying the problem as sciatica but actually finding where it is coming from. The challenge is that the sciatic nerve is long and has multiple nerve roots, so tracing the cause can be tricky. Once the problem area is found, the fun is just beginning as now the patient and doctor must figure out how to effectively solve the problem. Drugs and surgery are often the ordinary medical approach and have very limited benefits as well as some very serious risks and side-effects. For this reason the doctors at New Wave Chiropractic Center feel that a Natural Sciatica Treatment should be adopted before any form of drugs or surgery are considered. The medical and scientific communities understands that drugs and surgery should not be the first line of treatment for low back pain and sciatica, however that is the standard of care in most medical offices. The Journal of the American Medical Association has even published articles suggesting chiropractic should be the first line of treatment for these disorders as explained here in this Rheuter’s article. When the sciatic nerve is being pinched by a misalignment of the spine, or subluxation, inflammation is often present that will cause back pain to occur with the sciatica. 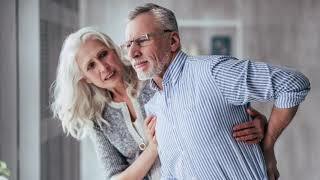 Depending how long you have been experiencing sciatica, how long the underlying problem has been there, and some other factors like age, health levels and fitness levels sciatica can take a short period of time or a long period of time to correct. The doctors at NWCC have the experience and gentle approach to know the difference and guide you out of pain and back to a normal life. Surgery is not the Option! Sciatica treatment should be safe! Sciatica can be severely debilitating and lead to secondary problems. Chiropractic care is the most effective and safest form of sciatica treatment and severe lower back pain relief. Sciatica pain can vary widely, ranging from a mild ache to a shock sensation. For some patients, this pain may feel worse after a cough, sneeze or sitting for long periods of time. Other symptoms include a tingling sensation, such as pins and needles, or pain in the lower leg or foot. In rare but serious cases, patients may also suffer from the loss of bladder control and sexual function. While medication may provide temporary relief, prescription painkillers and muscle relaxers work by “covering up” pain symptoms. Medication is not able to “cure” a herniated disc or return the spine to proper alignment. Our advanced chiropractic team led by Dr. Paul Hodgson and Dr. Joe Botkin provide detailed testing and mechanical adjustments to restore alignment and drastically improve function. We also speed recovery with the latest rehab techniques using diet and supplements to alter body chemistry for faster recovery times, as well as axial traction (spinal decompression) and class IV laser treatments to drastically speed healing times. We use advanced chiropractic techniques and state of the art technology to customize to each patient’s unique problems and needs. Their goal is to look at what caused this and understand how to fix it. Our programs will address physical, chemical, and emotional causes and may utilize nutritional recommendations, manual adjustments, stretches, corrective exercises, laser treatments, spinal decompression, and lifestyle recommendations. Skip the ordinary doctor and come see the specialists that get miraculous results naturally with complete back pain relief, where the side effects are improved health and better function. For more information click HERE. Call 760-683-5942 for a free consultation today! These guys are great! I came to them after suffering for months with sciatic nerve problems, Dr. Paul was awesome! He never lectured me about being over weight or looked down on me for getting myself into this situation, he was compassionate and professional. He understood the pain I was in and came up with a game plane to get me back in shape. These two (Dr. Gina and Dr. Paul) are really compassionate care givers. They are top in their field and make the effort to educating you while providing great treatments, I can't recommend them enough. If you have been hesitant signing up with a chiropractor in the past, shake those concerns and make your way to New Wave. I can promise you this, if your fixable and you follow the plan the build for you, Dr. Paul and Dr. Gina will put you back in line!